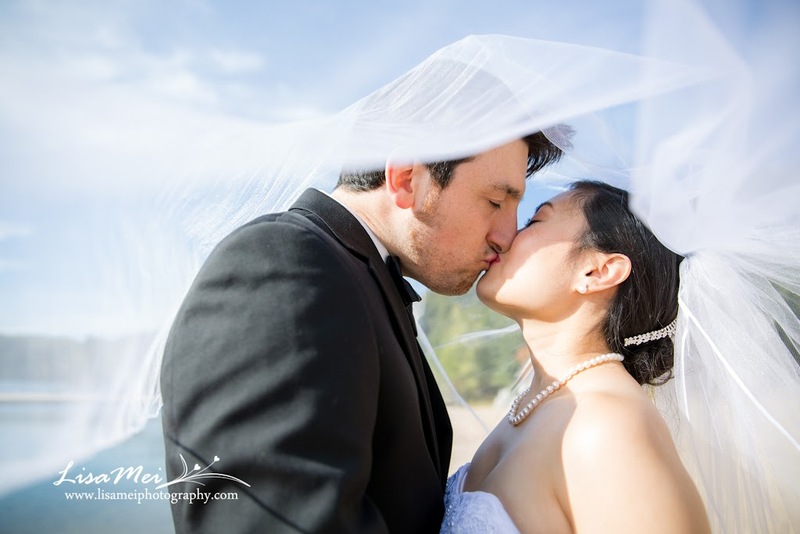 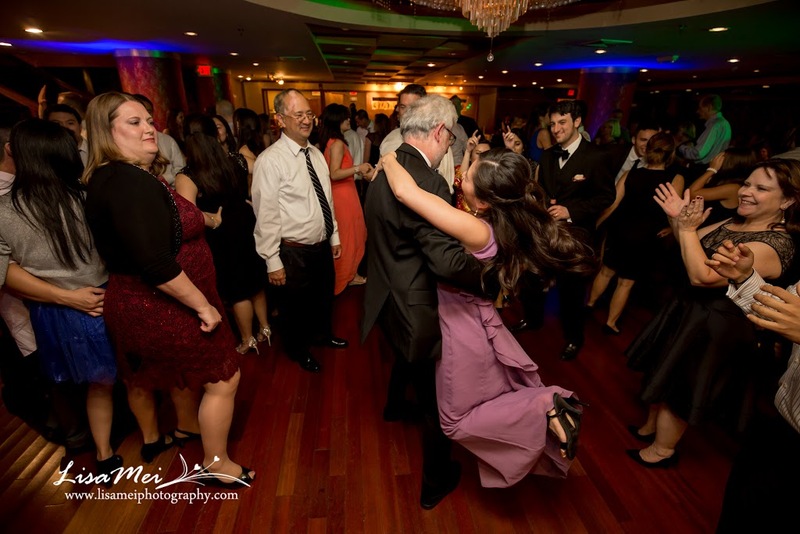 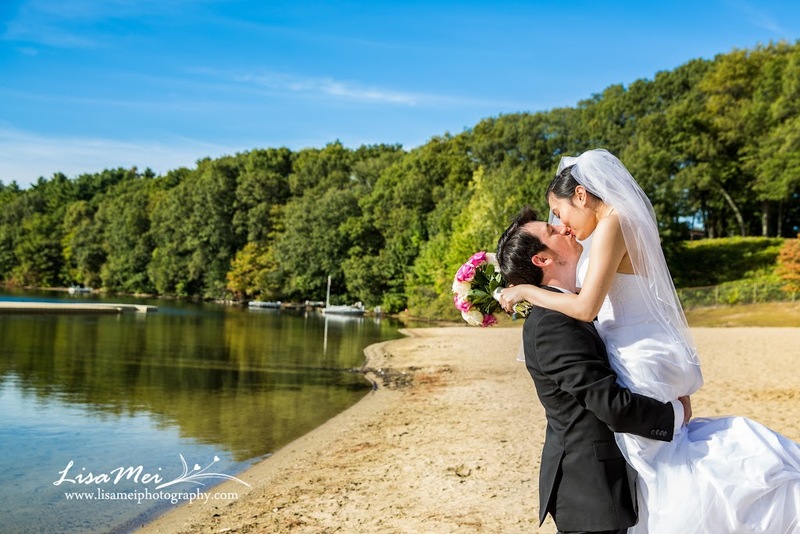 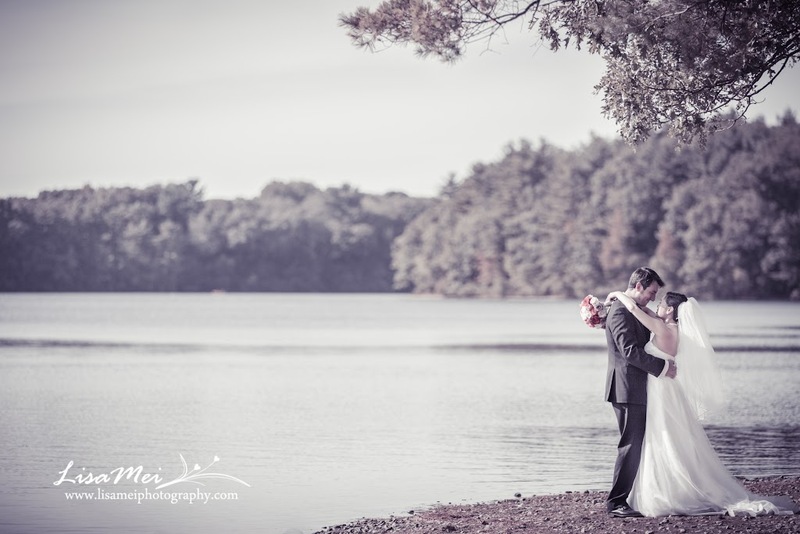 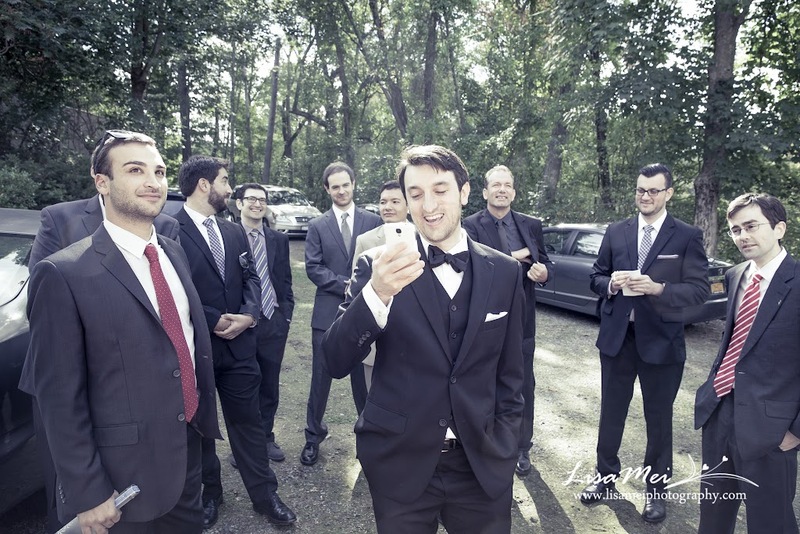 This year, I was very honored to photograph two of my childhood friends’ weddings! 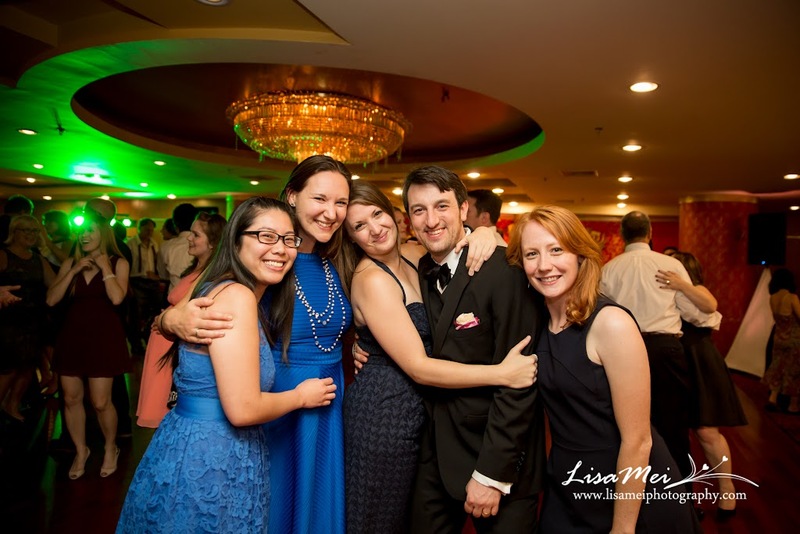 I went to 5th grade with Carol and then she moved to another town; we haven’t seen each other for like 20 years until she contacted me earlier in the year to photograph her wedding! 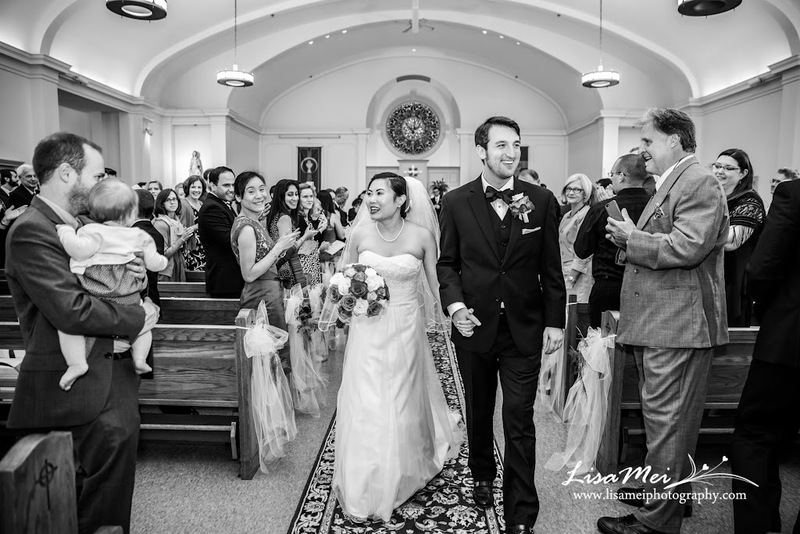 We discovered that her then-fiance, Alex, was in the same class as I was in college, what a small world! 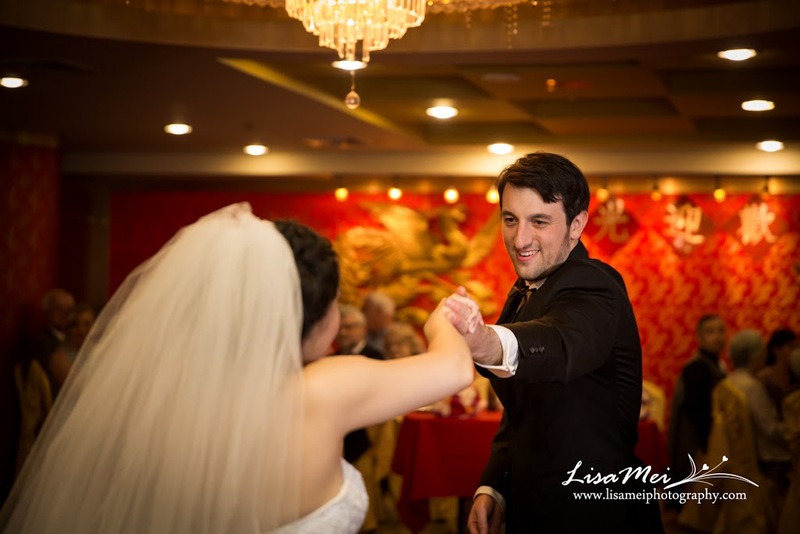 The day has came, Carol and Alex’s wedding started with a very traditional Chinese ceremony where Alex and his groomsmen had to go through series of challenges by the bridesmaids before he can “pick up” the bridge. 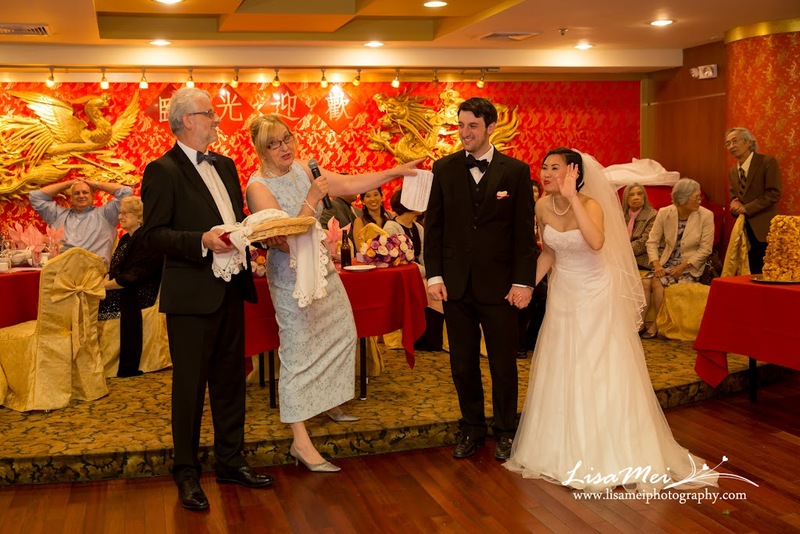 Not only he had to give red envelops to bribe the bridesmaids, they were made to sing Carol’s favorite singer, Taylor Swift’s Love Story. 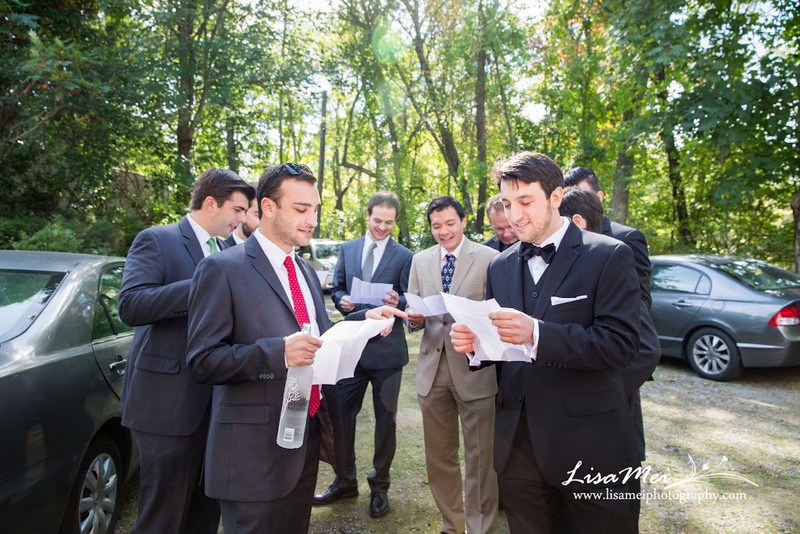 It was so fun to see the guys did everything for Carol! 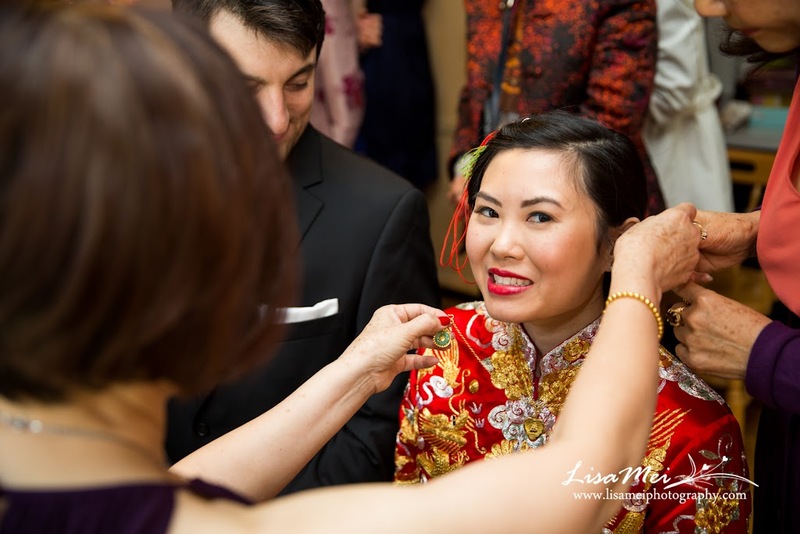 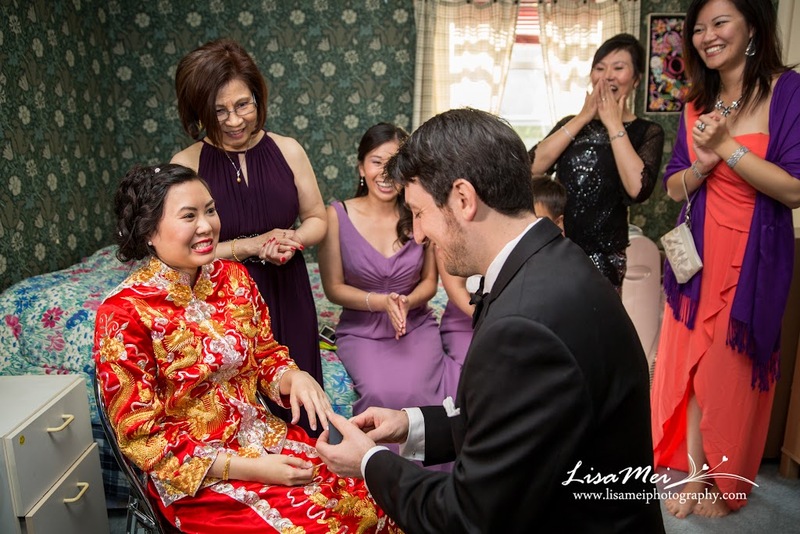 Then, they had the traditional tea ceremony; Carol looked stunning in the traditional Chinese wedding gown accompanied by the gold necklaces and bracelets from her families. 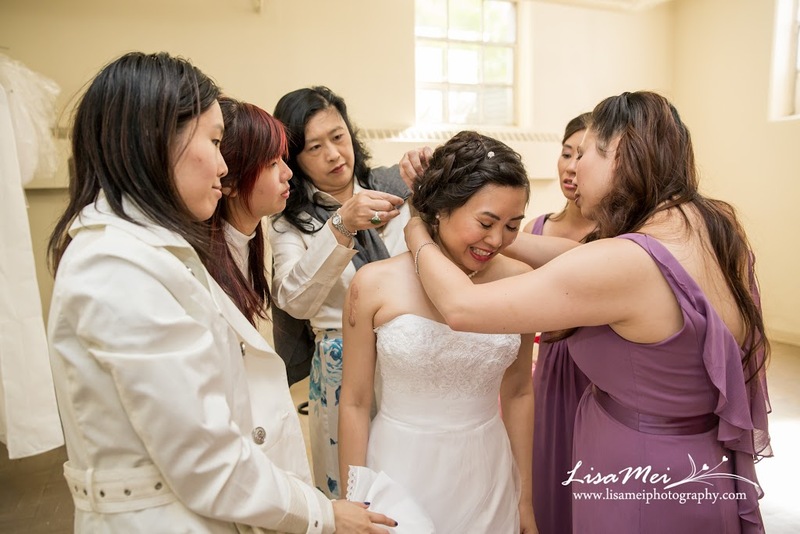 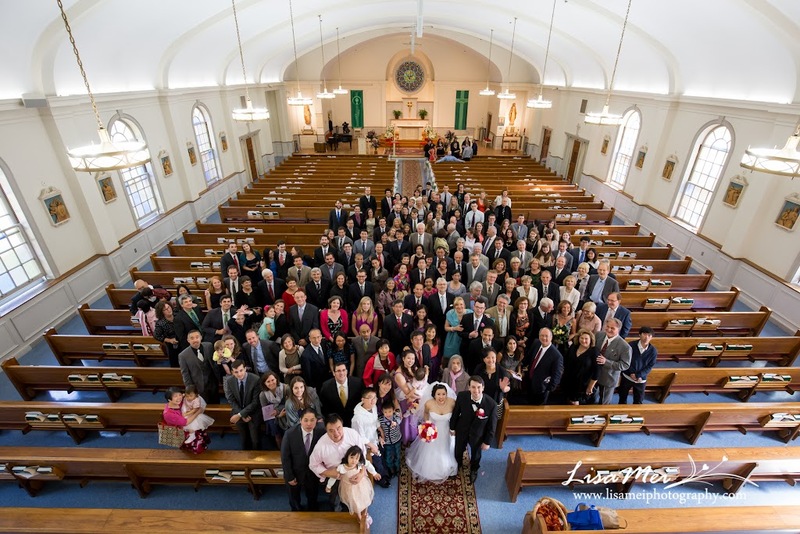 After the Chinese ceremony, we headed over to St Ann Church for the simple but yet touching ceremony. 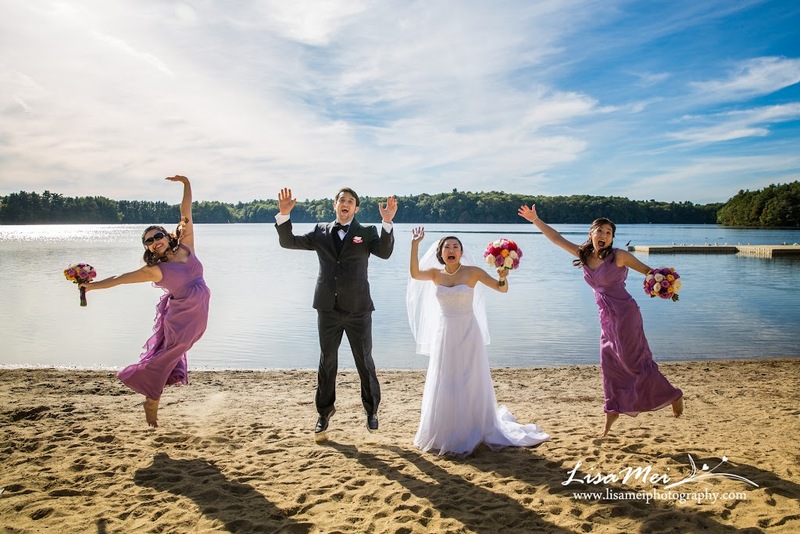 We had more group pictures at Wayland Beach; both of them grew up in Wayland so the beach had a special meaning to them. 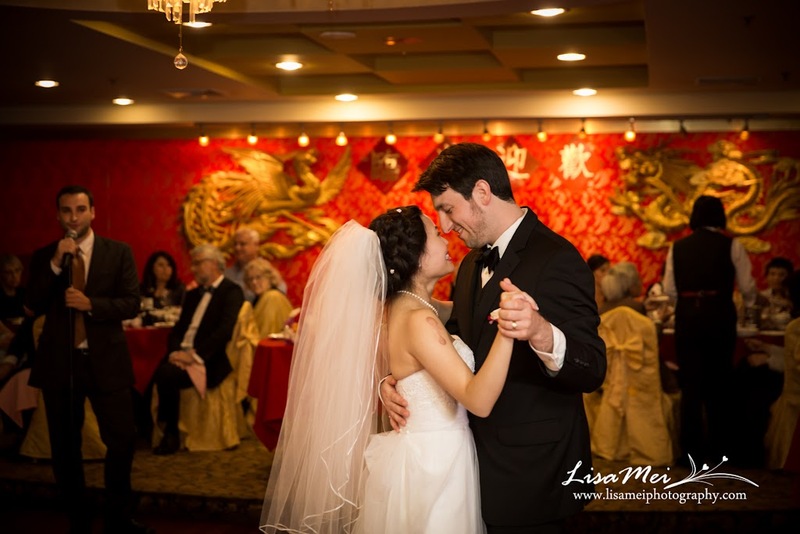 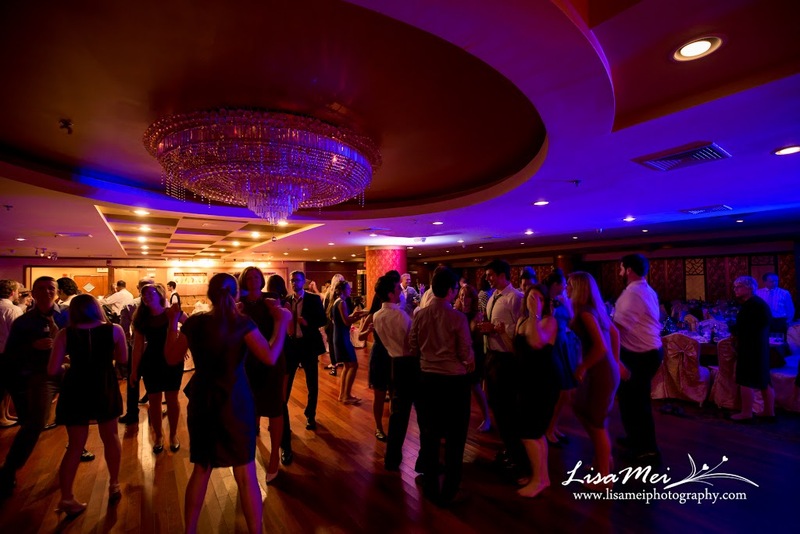 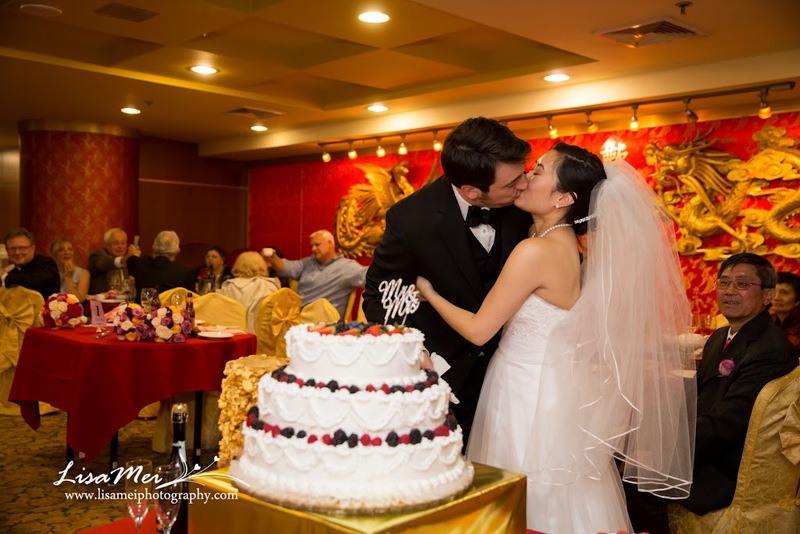 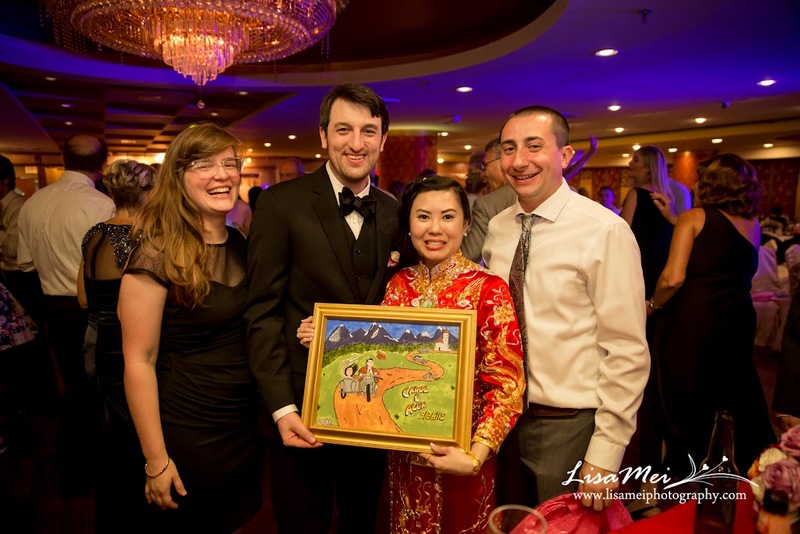 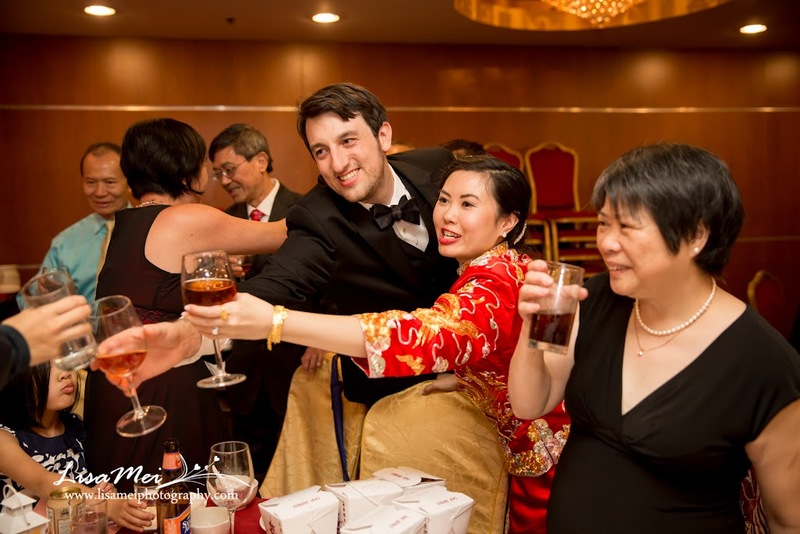 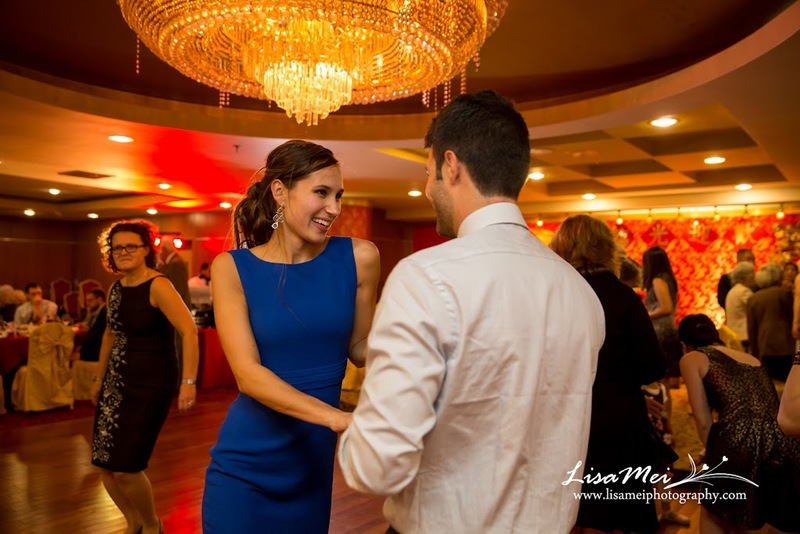 The reception was held in Hei La Moon Restaurant in Chinatown. 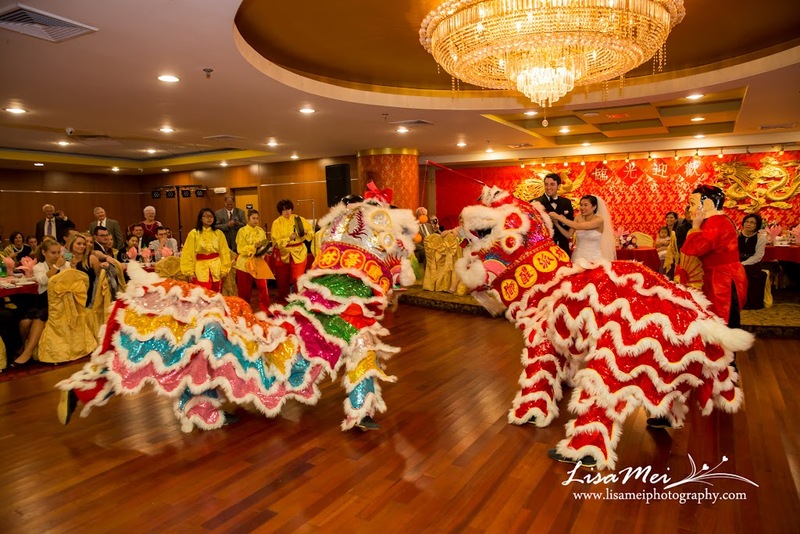 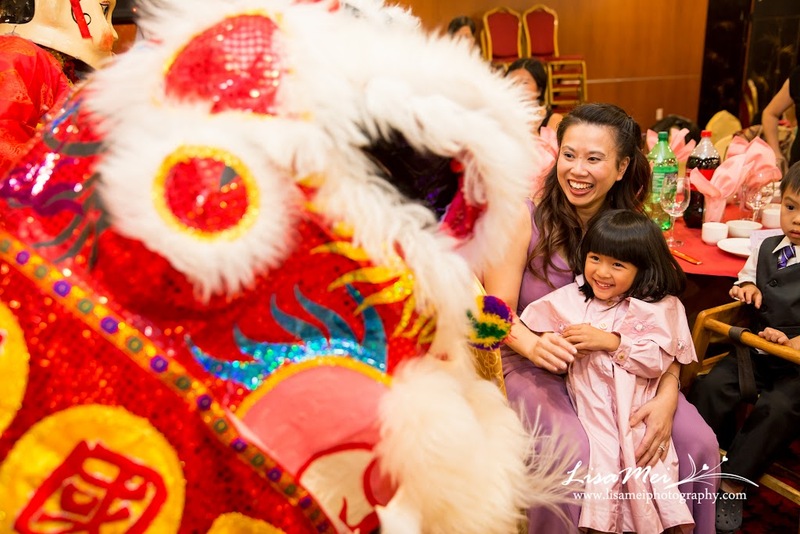 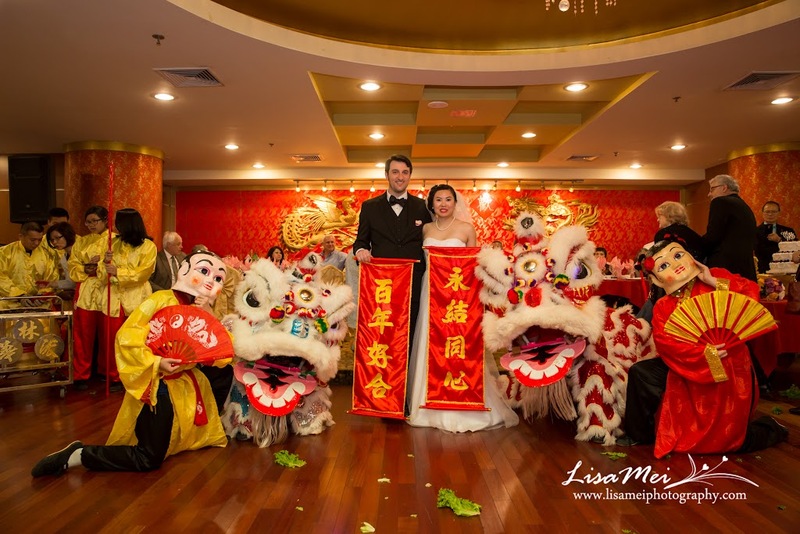 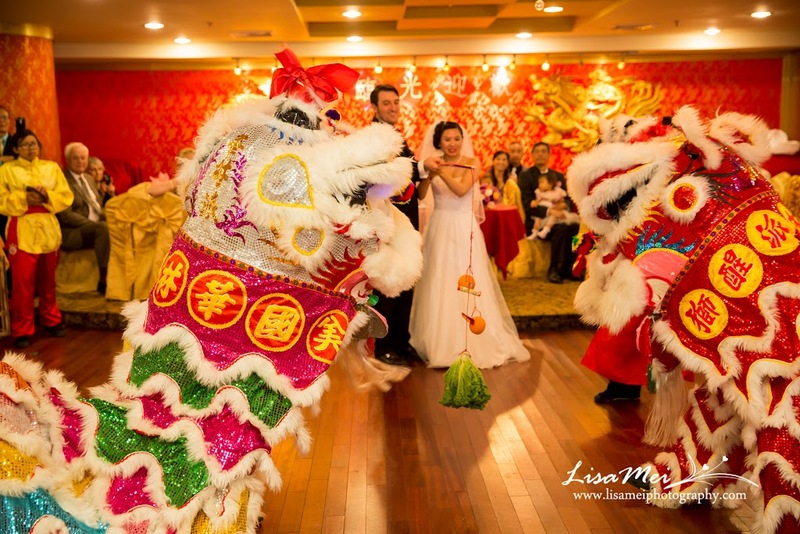 The wedding started with the Chinese lion dance to bless the newly weds as well as the Polish Salt and Bread tradition by the groom’s parents. 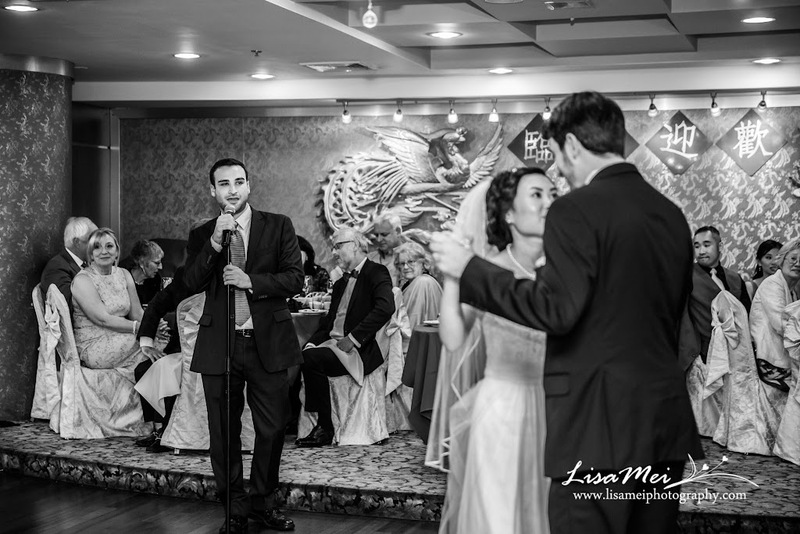 Their first dance was sung by their childhood friend, it was amazing! 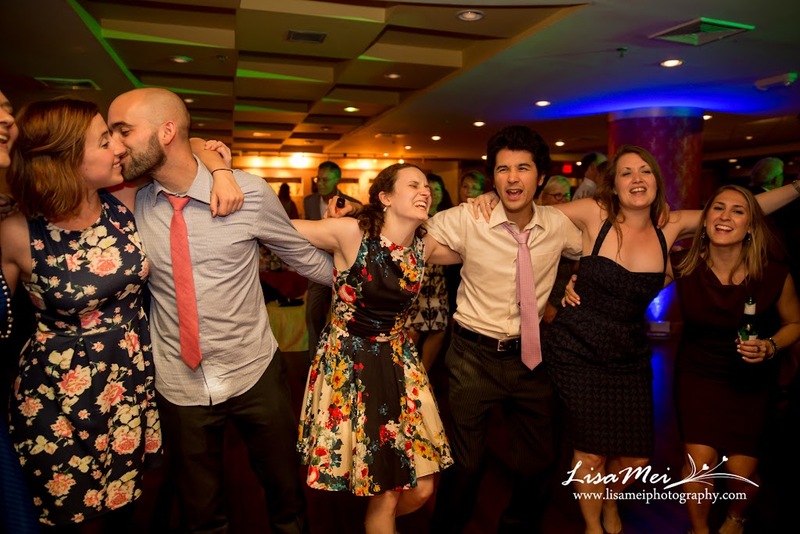 After that, nonstop dancing! 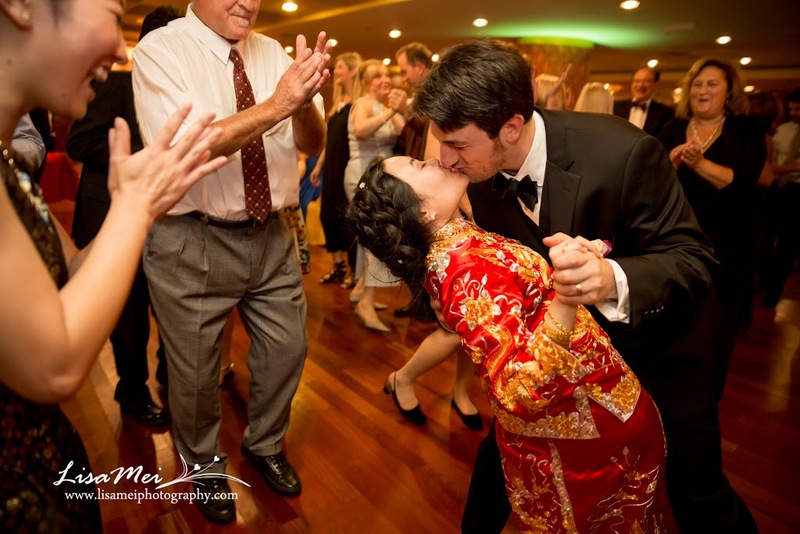 Regardless they are Chinese or Polish, laughter and dancing have no language barrier!